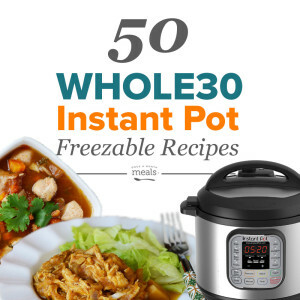 Today’s live segment covers some tips and tricks for getting started with your Instant Pot when you are meal planning for things like Whole30 and Weight Watcher’s. Just because your diet is being restricted, doesn’t mean it has to be tasteless or difficult. We love freezer cooking for these meal plans because having frozen meals on the ready helps so when you are busy, in a pinch or are tempted to “cheat”. All recipes within the Once A Month Meals membership database system that are tagged “diet” or “paleo” include the nutritional values and Weight Watchers FreeStyle Points.